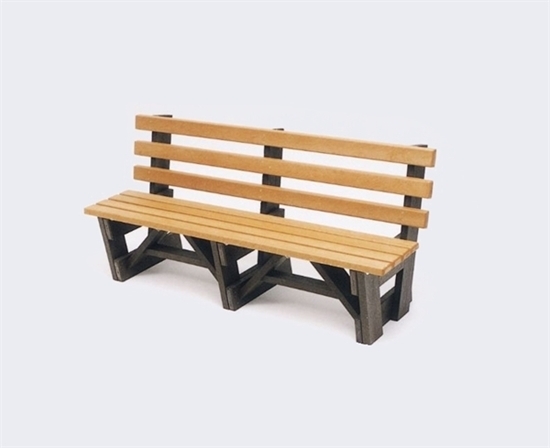 Recycled plastic 6 foot park bench with a back is a popular product for outdoor parks and schools. This classic Boardwalk style 6 foot recycled plastic bench with back design is constructed from 2 inch x 6 inch and 2 inch x 4 inch recycled plastic lumber. Features stainless steel fasteners. The bench colors can be easily coordinated with our other park and site furnishings.